Eneria specialist in the design of power plant and cogeneration plant was selected by SMA Environment as a partner in the deployment of a heat cogeneration plant at La Fare-les-Oliviers (Bouches du Rhône). The realization of a heat cogeneration plant to treat leachate from waste disposal is a first in France. In the short term a second generator Biogas Caterpillar same power should be installed. Read the complete technical file of our partner SMA Environnement. 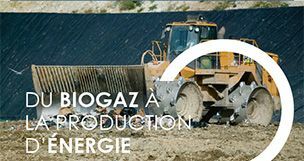 Share the post "Energy production: Energy recovery Biogas"